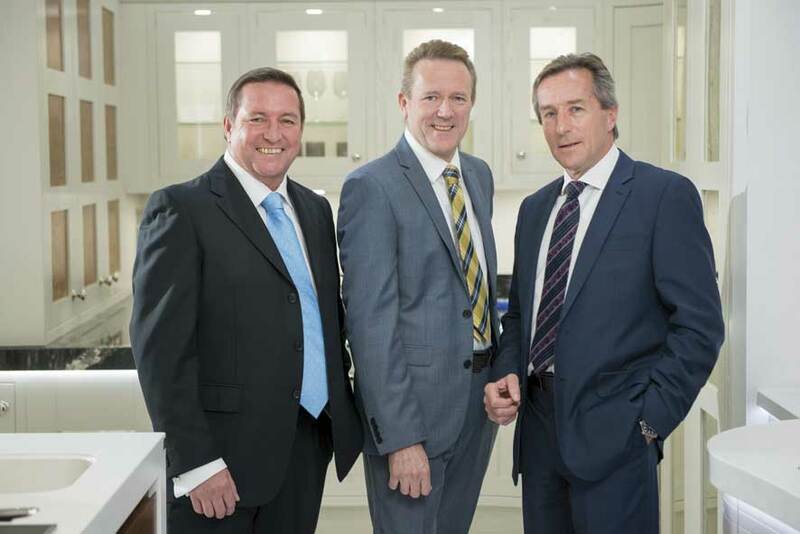 Our latest focus on clients looks at a fifth-generation family business. 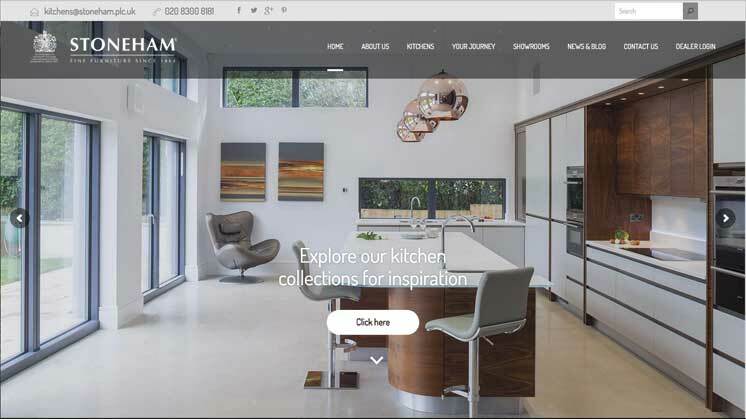 Stoneham plc has grown from a woodturning business, started in the basement of William Hone Stoneham’s Deptford family home in 1864, to become a proudly British luxury bespoke kitchen design brand bearing the Royal Warrant. Stoneham plc employs 70 staff at its 65,000ft² state-of-the-art workshop in Sidcup. Its bespoke built to order kitchens are sold through over 40 appointed kitchen showrooms across the UK. It also happens to be one of our closest clients given it’s just 400 yards along the road from us! A trio of brothers lead the business: managing director Adrian focuses on business strategy, finance, product development and is involved in the manufacturing and sales processes; Howard leads sales, relationship management and has responsibility for managing Stoneham’s brand; and Michael oversees all aspects of production, integration, machinery and tooling specifications across the business, while keeping watch on productivity and quality control. Drawing from a rich 154-year history of products and production techniques enables the Stoneham team to make decisions for the long-term interest of the business rather than the short-term seen in so many other businesses. Asked about advice for family businesses starting out, Adrian says: “Most people do not start a business thinking it will become a multi-generational business. Good planning, financial control and retaining asset wealth within the business is important to facilitate a multi-generational approach. It also helps to have a great product and a service level that keeps customers coming back to you. It’s sound advice from a business that has weathered many challenges over the years. Among them: surviving two world wars with highly depleted workforces and re-skilling the factory with replacement staff; diversification of production to support the war efforts but coping with post-war materials limitations which led to the success of free-standing kitchen cabinets; going metric in the late 1960s resulted in easier and more accurate designing; while the introduction of computers in the 1970s positively affected the sales and factory processes. With kitchens starting at £25,000 (including VAT), Stoneham’s client list includes many household names from TV, radio, sport, politics and business. While discretion is key, being awarded the Royal Warrant indicates just how high profile their clients are. Adrian can admit to on one occasion when he and his brother Howard were “commanded to attend Windsor Castle after its fire restoration to receive Her Majesty’s gratitude”. If that’s needed to continue success, then we’re with them all the way!